In its fourth annual barometer of China’s most chosen FMCG brands, Kantar Worldpanel has revealed that Chinese brands are continuing to outperform their global counterparts as they dominate the top 10. The 2016 Brand Footprint ranking measures which brands are being bought by the most consumers, most often. 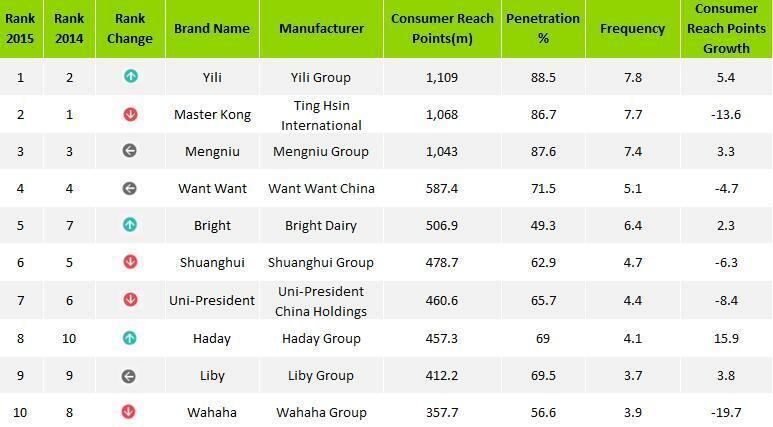 Yili leads the ranking – its products have been chosen by 88.5% of the population, on average 7.8 times a year, meaning Yili’s products were put into shoppers baskets 1,109 million times during the course of the year. The company has continued to innovate through its premium ambient yogurt range and has expanded its consumer base in lower tier cities in China. While Master Kong and Mengniu occupy second place and third place, both brands are bought more than 1,000 million times a year, well ahead of other brands in China. Amongst the top 10 brands, Bright，Haitian and Libai are brands which managed to increase their consumer touch points through geographic expansion and innovation．Beverage giant Wahaha, however, saw its position further weaken in the market slipping to tenth place in the table. Kantar Worldpanel’s Brand Footprint Ranking reveals the strength of brands in 44 countries around the world, across the food, beverage, health and beauty and homecare sectors. 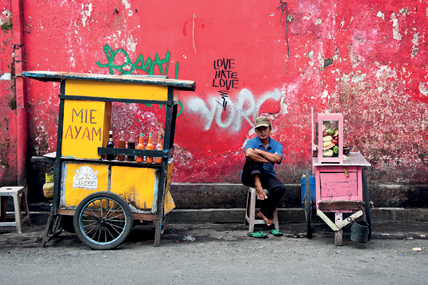 It uses an insightful metric called Consumer Reach Points which measures how many households around the world are buying a brand (its penetration) and how often (the number of times shoppers acquire the brand). This unique calculation of penetration and frequency helps FMCG manufacturers to clearly understand their reach within China and globally in terms of actual basket reach and provides a vital guide on which regions present the biggest opportunities.